As you have read in past posts here and here, we are in the middle of our African penguin breeding season. We are happy to report that the season is going well and we have many chicks behind the scenes. 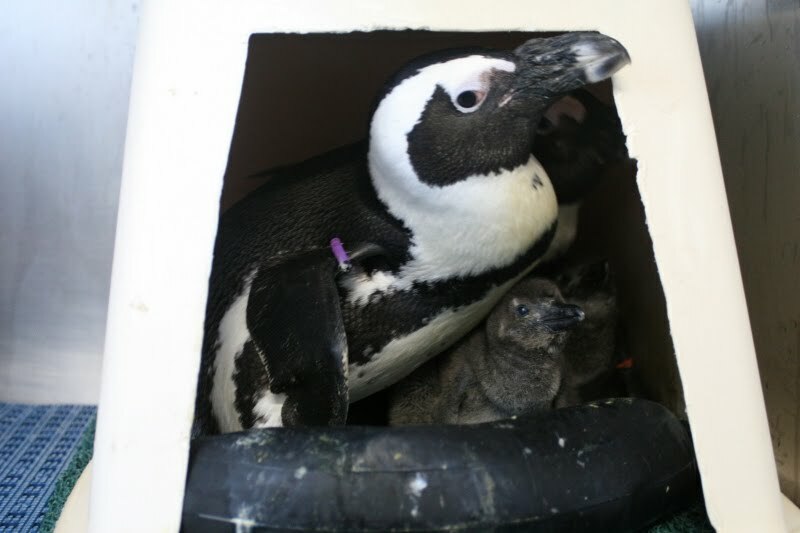 Just like proud parents (not to be confused with our Proud Parents Animal Sponsorship program, where people like you can sponsor a penguin!) we wanted to share some photos of the chicks in various stages of growth. 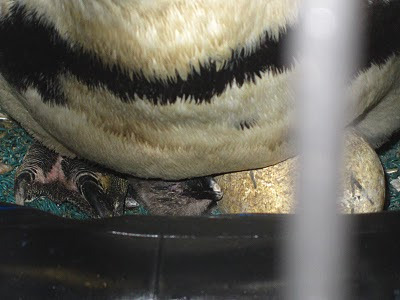 In this photo you can barely see a newly hatched chick next to the second egg that has yet to hatch. Both are underneath a protective parent. This chick is just a few days old and can easily fit in the palms of our hands. We are going to weigh it quickly before returning it to the parents. Most of the time, the chicks hang out with mom and dad! 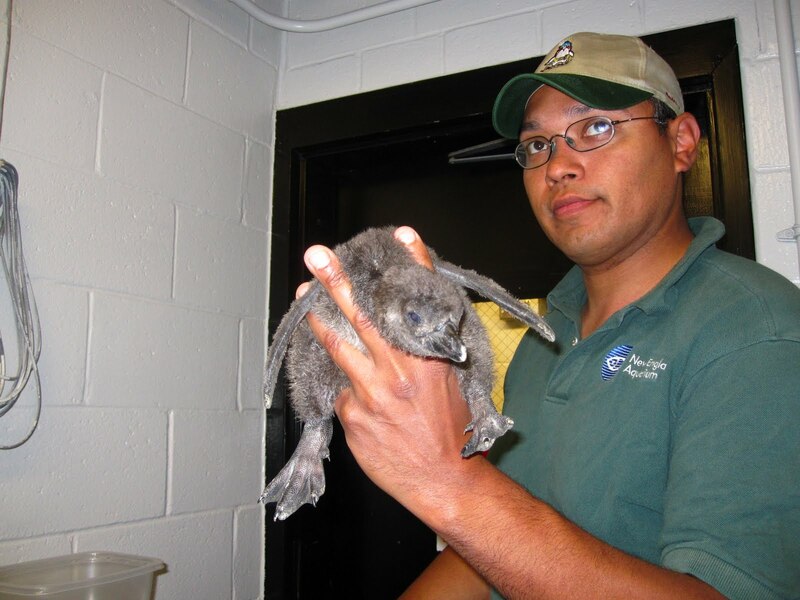 Here, Paul is holding a chick that is about one week old before it is weighed. 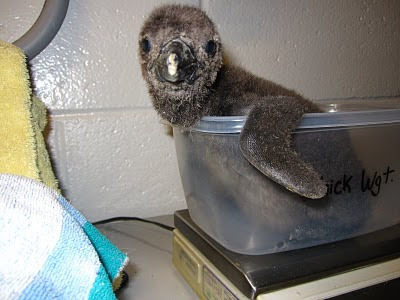 This chick is about 15 days old and is getting its daily weigh-in. At about one month old, this chick is still covered in fluffy down but is growing rapidly. 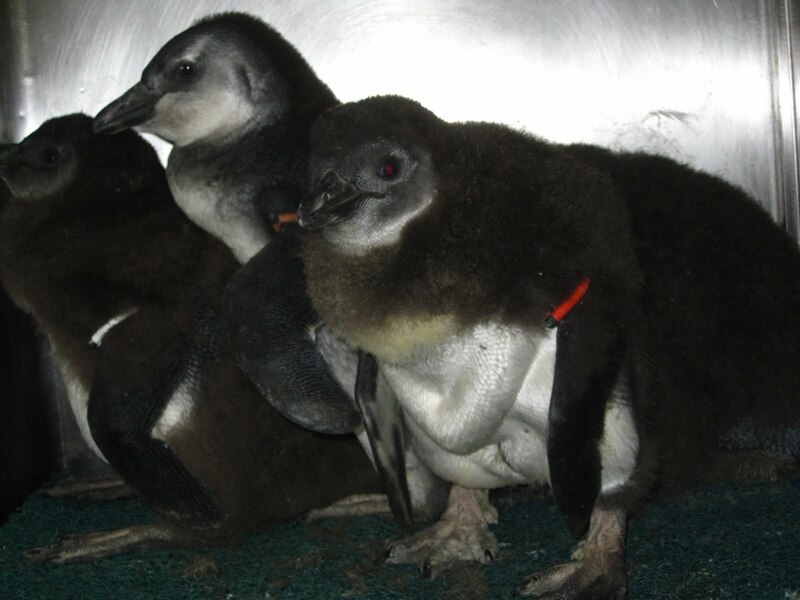 The parents of these 4 penguins were returned to the exhibit so we could start getting the chicks used to eating from people. 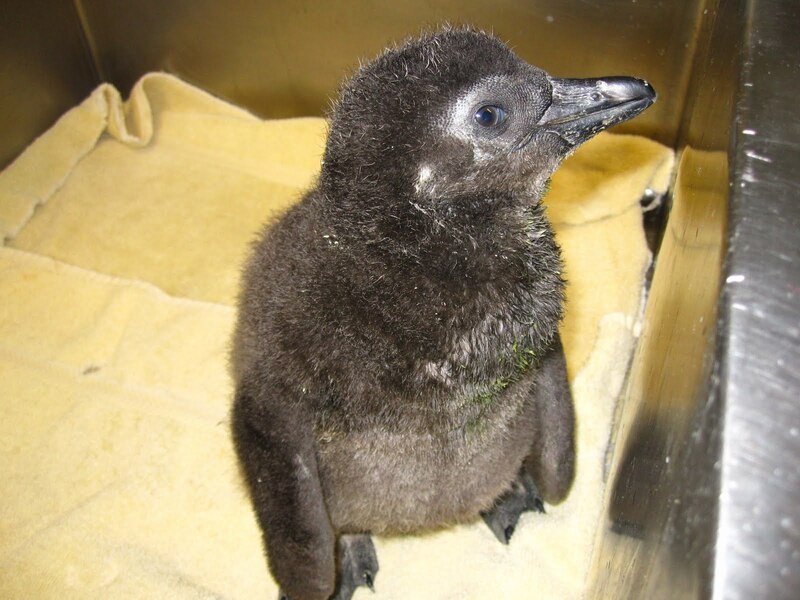 We are preparing them to join the rest of the colony on exhibit. Here are some of our oldest chicks. At over 60 days old, they are full grown and have their first set of waterproof feathers and are almost ready to go on exhibit. Many of you have met some of these chicks while they were still in the egg in a previous post we did on candling. That's where we look inside the egg to check on the growing chick. 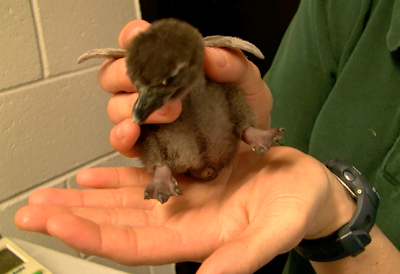 To learn even more about how these baby penguins go from egg to exhibit, stay tuned to the blog as we describe each step in detail.